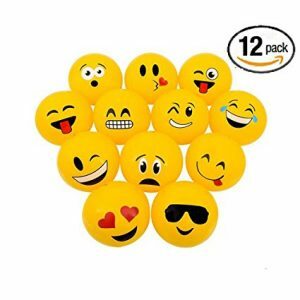 On Amazon right now you can get these fun 6″ Mini Emoji Party Pack Inflatable Beach Balls – Beach Pool Party Toys (12 Pack) for just $8.99. This works out to just $0.75 per ball! These would make a great summer party favor. This set will ship free with Amazon Prime or qualifies for free Super Saver Shipping with a $35 purchase.